This is an update to our position trading strategy as mentioned here. In short, we tried to buy USD/CHF at 0.9880, stop at 0.9810 and target 1.0300. 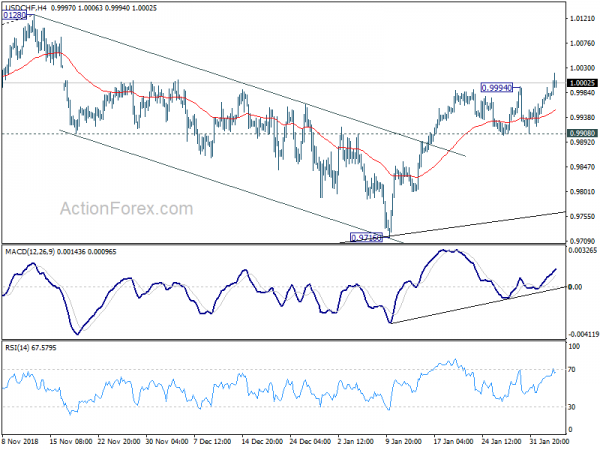 USD/CHF’s break of 0.9994 indicates that rise from 0.9716 has resumed. The pull back from 0.9994 was shallower than expected and ended at 0.9908. Thus our order was not filled. We’ll cancel the order for now and look for other opportunities later. The overall bullish outlook in USD/CHF is unchanged. Correction from 1.0128 has completed at 0.9716 after drawing support from medium term trend line. Rise from 0.9716 will likely resume the whole up trend from 0.9186 to 1.0342 key resistance 2016 high. Dollar suffered some broad based selling two weeks ago on talks that Fed was going to cut short the balance sheet reduction plan. Last week’s FOMC statement was also dovish as the tightening bias was removed. However, we over-estimated the impact on Dollar. Or we have actually under-estimated Dollar’s resilience. Thus, USD/CHF long now looks like a missed opportunity. Anyway, we’ll come back to position trading strategy in the weekly report again. 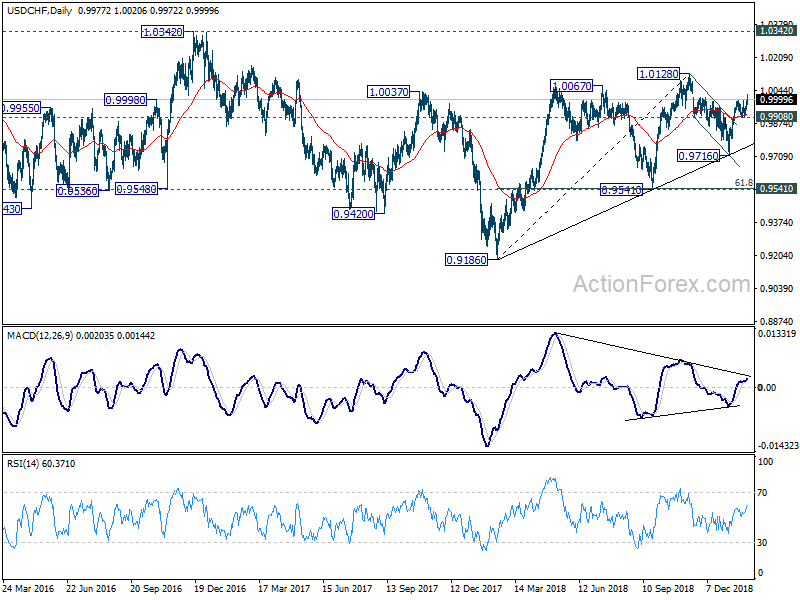 USD/CHF could still be a candidate.